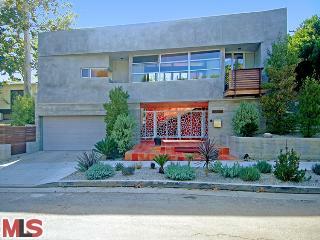 The newer construction architectural home at 10365 Mississippi Ave., LA CA 90025 received a price reduction this week of 11.16% or $245,000, down to $1,950,000. The home was listed 73 days ago for $2,195,000 and this is the first price reduction of the current listing term. According to the MLS, this home is a 3 bedroom / 3.5 bath, 2,800 sq ft of living space on a 6,316 sq ft lot. Not only is this house an architectural style home, it has a laundry list of "green" features. Last thing I will mention about the home is if you have never been in this pocket of homes, north of Olympic and east of Beverly Glen, your missing out on a quiet, hilly, tree lined section that makes you feel like your outside of LA.